Many people who are looking for ways of improving their performance are now using medications that are specifically designed to treat certain medical illnesses. Ritalin is one such medication that is increasingly becoming used for this purpose. Ritalin is a type of drug, called a stimulant that affects the chemicals of the nervous system called dopamine and noradrenalin. It is used to treat people who suffer from attention deficit disorder (ADD), attention deficit hyperactivity disorder(ADHD) and narcolepsy. It acts by altering some of the naturally occurring chemicals in the brain that help control attention and behaviours. Doctors have found that by increasing the amount of these chemicals it helps to regulate the function of these parts of the brain that are under active in sufferers of the mentioned disorders.Not everyone with ADHD is prescribed Ritalin, each person is treated individually and has their own plan of care arranged according to their needs. How Can It Improve Performance? Many people now believe that Ritalin can be used to boost their brain power, even in the absence of any type of cerebral disorder. It is unofficially called the ‘cognitive enhancer’ and is regarded by many as being as unethical as using substances to improve sports performances.It is thought to help people stay awake and remain alert for longer periods which is why it is favoured by those who are studying, working multiple or mixed shifts or trying to maintain employment and a regular social life at the same time. It is also thought to help improve concentration and is often used as a one-off drug taken before exams or when long periods of attention are required.It is not only student feeling the pressure of exams that are calling on these substances to aid them, employees in high pressured jobs are now also trying these medications as a way of striving for success in jobs that place a lot of pressure and strain on them.High achievers who are suddenly at the top of their potential but cannot afford to let their standards slide are now using artificial methods of maintaining their level of performance. 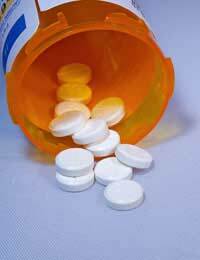 As Ritalin is a stimulant it carries the same side-effects as other drugs in this group. A lack of appetite, irritability and headaches are all fairly common, but more serious effects can include palpitations, fine tremors, dry mouth and chest pain. Long term effects can include sleeplessness, lethargy due to prolonged sleepless periods, depression, mood swings and anxiety.If you are experiencing any type of chest pain, swelling of the mouth or airways or allergic reactions seeks medical help immediately. Ritalin is a stimulant drug that has been specifically created to be used for attention deficit and hyperactivity disorders. It is now being incorrectly used and abused by those who want to try and increase their cerebral performance. This is dangerous and unethical as the results produced people taking these drugs do not reflect their natural capabilities and give them an unfair advantage over their fellow employees, students or competitors.